In the beginning of the month I signed up to test the Creamsicle Crochet baby blanket for Noorain Nizami, aka noorsknits on Instagram. 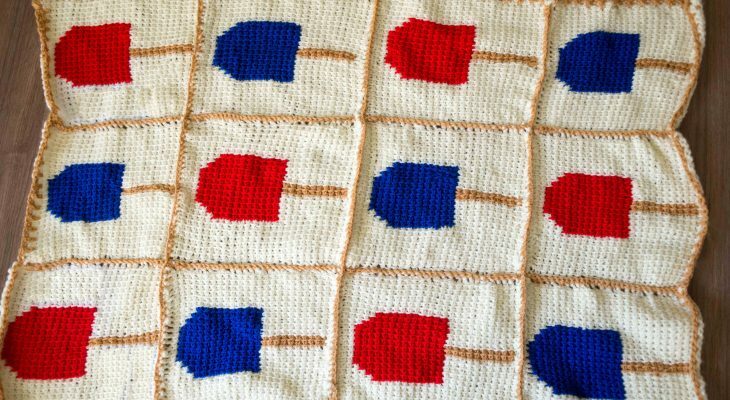 I loved the idea of a Tunisian crochet blanket, to level up my Tunisian crochet skills 😀 The blanket consists of squares, as many as you wish for, which you should sew in a blanket at the end. 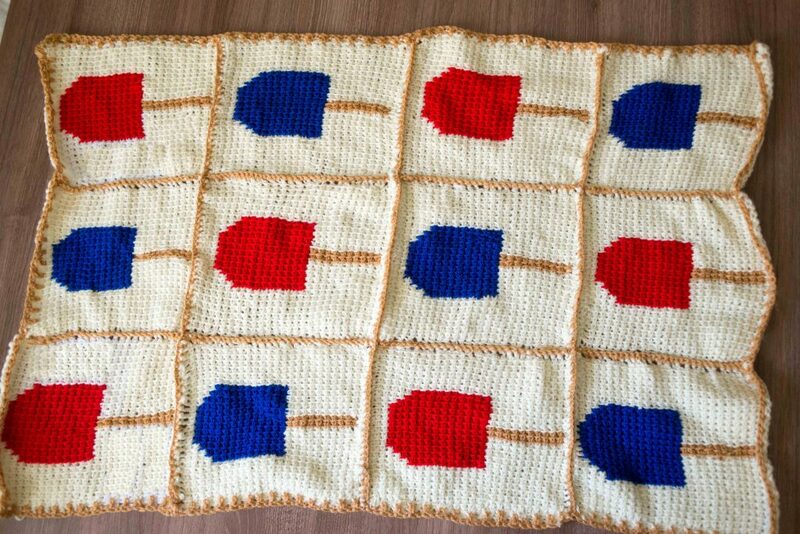 I opted for the 12 squares in the original blanket, but some of the other testers did 9. 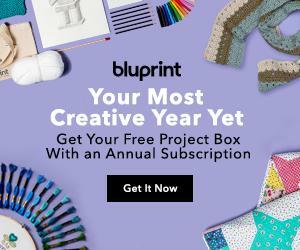 Each square has a creamsicle and there should be 2 colors of creamsicles. 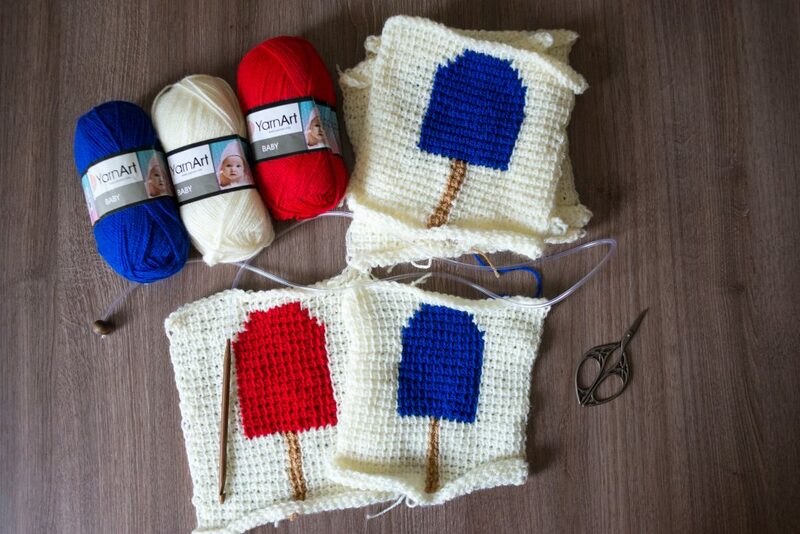 To make the blanket, you’ll need worsted weight yarn and 6.5mm Tunisian crochet hook. I used YarnArt Baby, which here is marked as weight 2, which is not worsted, but I got gauge with it 🙂 I chose the colours thinking of Spiderman.